The Final Test: Sayonara Tokyo & Ni Hao Beijing! We've landed safely in Beijing! After some struggling with the new language we found the correct buses to our hostel and we're all settled in. It's much colder here, -2C this evening, and very different from Japan. We will need to quickly adjust to the fast-paced, more foreign culture and become a little more aggressive with getting what we need. There's very little English compared to Japan and we're not greeted with as many helpful faces. That all said, we're quite happy to leave Japan. We'll admit we've pushed our budget a little in the bustling, consumer driven country and our last week was limited in travels. 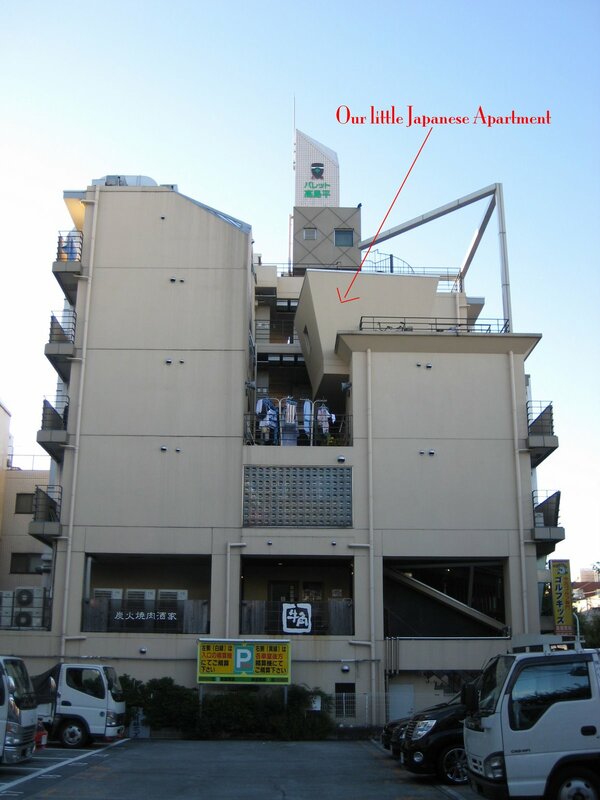 The nine nights in our little Japanese apartment began to feel secluded. Tokyo, in our minds, is just like any other city and we navigated it with no problem. It didn't feel like we were in the largest city in the world. We soon fell into city routine, grocery shopping and riding the metro, it was almost too much like home. Regardless of the travel and budget constraints, we toured all over Tokyo. Harajuku is the young, hip shopping district selling brand-name fashions and the famous "Harajuku girl" type clothing. It was very interesting to walk the streets and alleyways watching the young and fashionable. The Meiji Shrine is located beside Harajuku district and is like a forest in the middle of the city. The torii gates that lead to the shrine are the largest in Japan and are made from 1700 year old Cyprus trees. The shrine itself is similar to many we had seen, but the natural setting and grand entrance was special making walking the grounds enjoyable. Electronic Town is just that, a flashy shopping district for all your technical needs. The buildings here are practically alive, covered in lights and decked out in advertisements, we quickly got sucked in. Imagine whole department stores, 7 stories tall, selling nothing but gadgets, computers and appliances. It's crazy. It's Future Shop on steroids. We thought about a neat, talking, language translating, hand-held device, but quickly shook it off (a little forethought now, it probably would have been really helpful in China). Our day ended with the successful retrieval of our Indian visas. We couldn't have been happier. Asakusa, containing Nakamise Dori, the road leading to the Sensi-ji Temple, is the old merchant district and the place to go for souvenir shopping. This is probably one of the most beautiful and unbelievably congested places we've been yet. The two entrance gates to the Temple located along Nakamise Dori hold the largest lanterns in Japan, weighing 100kg each. The merchant stands lining the road have been past down from generation to generation, keeping many of the little bakery shops traditional and interesting. However, most of the shops sell junk. Sensi-ji Temple, where you pray for forgiveness, is again like many others, but the surrounding atmosphere keeps it extremely alive and colourful. It was entertaining and touching to watch the locals visit the temple to pray. The next two days, Saturday and Sunday, were rainy and uninviting. We didn't want to go out, not for the rain, but for the sheer number of people that are out shopping and site seeing on weekends. We stayed close to home and finalized plans for China. Monday and Tuesday however, we needed to get out of the apartment and run a bunch of errands including, rescheduling flights, investigating India and visiting an English used book store. Jason purchased book 3 and 4 of the series The Hitchhikers Guide to The Galaxy and Nicole got a book called Dead Simple by Peter James. All for only $15.00 Cdn. Nicole's already half done hers. Our last day in Tokyo, we splurged and spent $20.00 to visit Yokohama, Japan's second largest city. We couldn't give up the chance of saying we'd been to Japan's 7 largest cities. Plus, the largest ferris wheel in the world, one of the largest China towns in the world and Japan's tallest building are all located in the port city of Yokohama. The city is beautiful and multi-cultural due to it being one of the first ports Japan opened up to the rest of the world. Cobblestone sidewalks and a foreign cemetery are some of the main attractions. We enjoyed a brief cruise along the Yokohama waterfront on the crisp, sunny day. We were happy to leave with our last impressions of Japan being Yokohama. Over the next few days we'll tour Beijing and see the Great Wall and other spectacular attractions. Hopefully the language barrier doesn't continue to be a burden.